Lake Superior in winter is a vast sheet of ice, white and implacable; its rocky shores, tall pines, and moody silences are the perfect backdrop for award-winning Norwegian mystery writer Vidal Sundstøl’s Minnesota Trilogy. 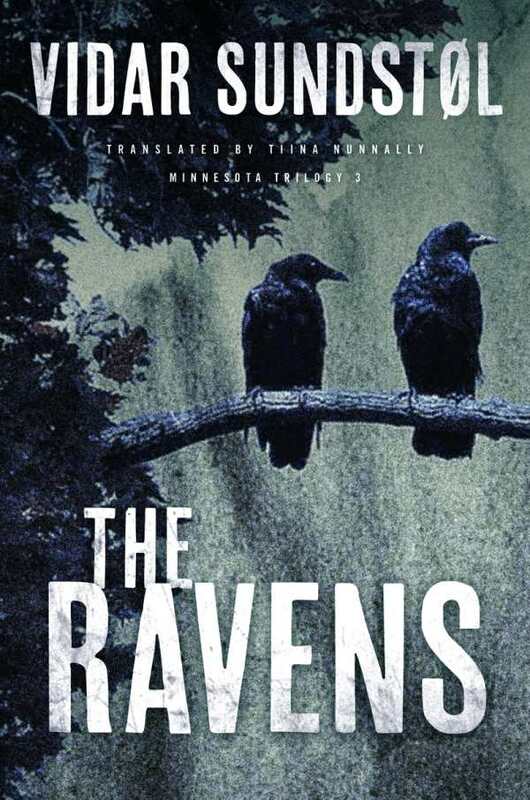 The third volume in the series, The Ravens, traces US Forest Ranger Lance Hansen’s investigation into a grisly murder—a crime that seems to be drawing its net ever more tightly around his own family. Haunted by visions of an Ojibwe medicine man who had been murdered in the same place a century earlier, Hansen investigates the crime and is deeply troubled as evidence seems to be pointing at his own brother, Andy. Hansen must plunge the depths of his own soul and the meaning of family ties before he can encounter the medicine man in a dream that reveals the secret at the heart of the mystery. Vidar Sundstøl is the author of seven novels, including the internationally best-selling Minnesota Trilogy. Tiina Nunnally has translated more than sixty works of Nordic fiction, including all three volumes of the Minnesota Trilogy.